According to reviews, this book is the most objective in giving you an in-depth look at the innovative investment and business strategies behind Warren Buffett's spectacular success. I have read Warren Buffett's annual letters since 1959 and already familiar with his personality and investment style. And I can say the author tried hard to be objective, following Warren Buffet from start of his career and detailing the investment decisions he made, the principles he adheres to and his view of the investment world. After reading this book, I decided to become a sworn focused investor. But if I were to re-read this book, I will skip the foreword and author's comments. Andrew Carnegie is one of the 3 people whose lives greatly inspire me. The other two are Steve Jobs and Leonardo da Vinci. I hold dear his life principles. He is an icon of a truly self-made man, the kind of man I hope to become. Reading this book re-enforced my believe that once you have the skill, the market will find you. And now, I have put my Excel skills on steroids, someday the market will find me. Steve Jobs is a legend and an inspiration to me. I have decided to not to do a Masters or any formal education higher than my B.Eng because of his influence on me. He changed our world forever, built the world's once most valuable company and succeeded in an industry where your first degree is not enough to get you a great job. All without getting a first degree. He was ordinary like most of us but gave a face to the word, PERSEVERANCE. "Do you want to sell sugar water for the rest of your life or do you want to join me in changing the world." Steve Jobs to Pepsi Vice President, John Sculley. The title is descriptive enough. This book aims to safe you millions of naira and still get you an MBA education, if you care more about the education than the certificate. Obviously, that is a tall claim but the book is way worth more than the price. This book was recommended to me by two senior friends, an Indian Telecoms expert and an American professor. It's really a strange book, you and your friend can be diametrically apart on every issue but will find yourselves agreeing with Gladwell. He explains in a delightful way that successful people have a strange kind of luck, one that forces them to work much harder than the rest of us and not the other way round. Though I consider this book to be useless, investment wise, as you will only end up doing nothing after reading the book. The real value the book produces is to reveal to you that you can't game the system. I bought and read this book solely on Ivo Welch's recommendation. Ivo Welch is the author of Corporate Finance, and is such a kind soul, he made the entire book available for reading online, free. And that book is the only MBA text I have read from cover to cover. He is a wonderful author and has the rare gift of writing academic text in an easy to understand way. In the book, he said Too Big To Fail is his favorite book on the 2008 financial crisis. Who am I not to read it? And true to my expectation, the book is a great read. Morningstar is the leading securities analysis company in USA and this book was written by their staff and endorsed by the company. And true to its title, it teaches the ground rules for analyzing stocks. It teaches you what to watch out for in a stock and by industry. It's a reference material. I don't need to write much about this book, it's so popular you'd have heard/read it. It's fame is rightly earned. This book will change your life! And it is no exaggeration. Though I still struggle (and have given up) implementing some of his advice, it's because of my extreme introversion. But if you are an extrovert, you'll have little/no trouble following his advice and greatly improving your life. 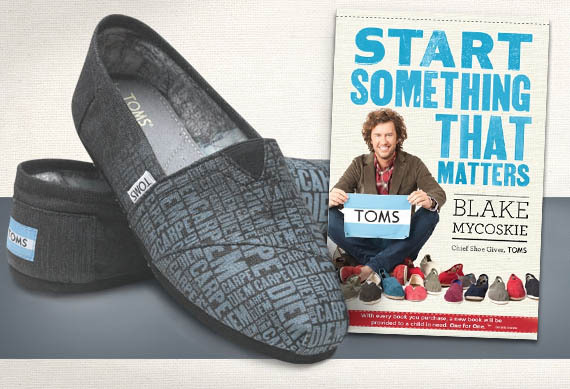 Blake Mycoskie started the revolutionary company that makes TOMS. And the history of TOMS is the most inspiring story behind any product (that I have read about). And in this book he shares that very touching story, then goes the super-extra mile of teaching how to start a company from just an idea and very little resources. And that is great value for someone like, who's always full of ideas. Like every classic that not only made it to this millennium but also flourishing, this book is filled with timeless advice to not just becoming rich but living a wholesome life. You might need to skip some parts of the book. This book is arguably the best book on deciphering body language. Joe is an expert and used to work for FBI. Since reading this book, I have been taking special delight in noting where my audience' legs are doing. If you put the content of this book to practice, you will find people very consistent and plain to read. Jack brings new life to the American Dream. Though I'm not an American nor live in America, but the success principles that Jack laid out in this book will enable even the poorest chap in Ethiopia to grow into a rich successful man. Actually, the title is misleading. This book is written by two CFAs. To become a certified CFA, you must believe that there are no quick rich schemes. This book will teach you all you need to know about managing vast wealth, so it's actually for the millionaires and not the aspiring millionaire. This book will teach you valuable skills needed in growing a startup with minimal resources. Yeah, it's another Steve Jobs book. The guy was simply phenomenal. Though the author spent too many pages promoting Harvard Business School, you'll learn invaluable lessons about being your own boss in a grand and intelligent way. It's a very practical book. 21. Jim Cramer's Real Money. I wouldn't recommend you reading this book, but nevertheless it's a great book for stocks day traders. And reading it won't do any harm as long as you don't intend to practice the contents or become a stocks speculator. Those are my personal finance and investment books. Mind sharing your list with me?